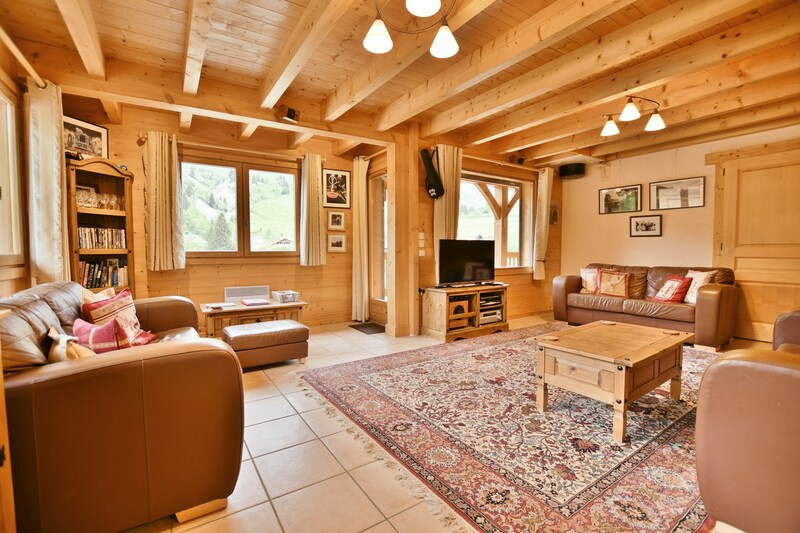 Chalet Chiron, is ideally located at the foot of a green piste which leads straight to 2 of the main chairlifs located a mere 200m away! 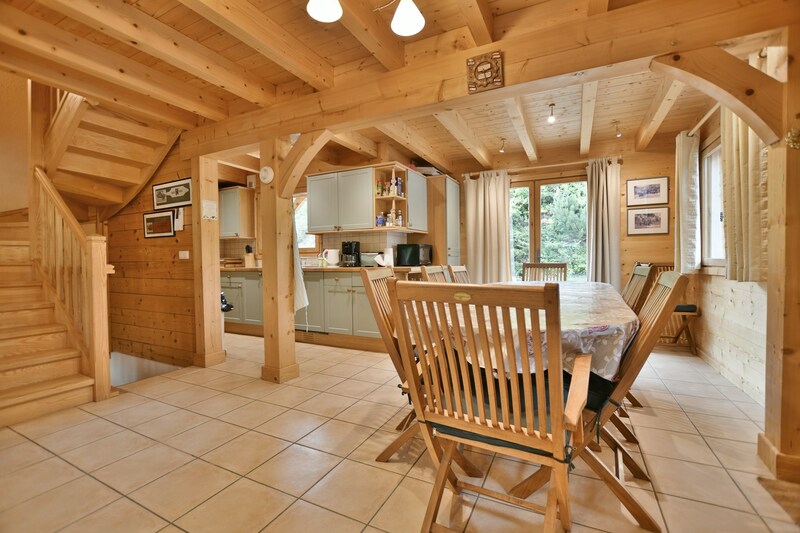 It is also only 300 metres away from the heart of the village, where all the shops, restaurants and bakeries are situated (ideal for your morning baguette runs! 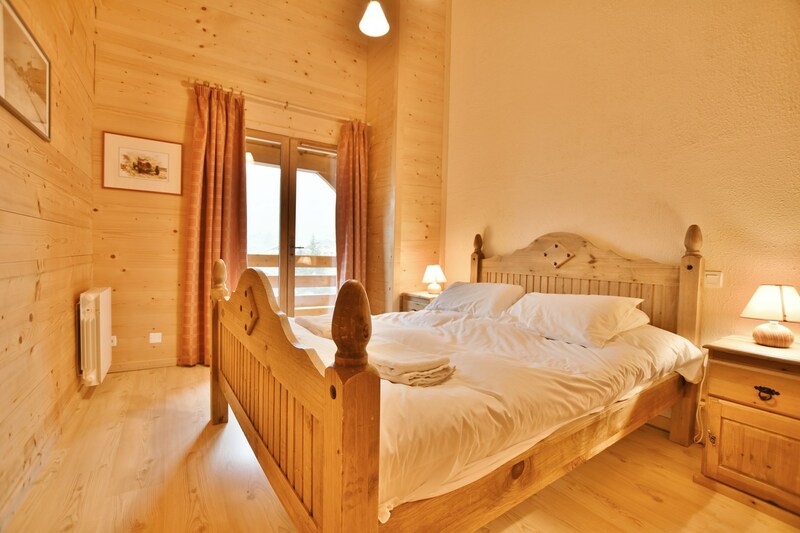 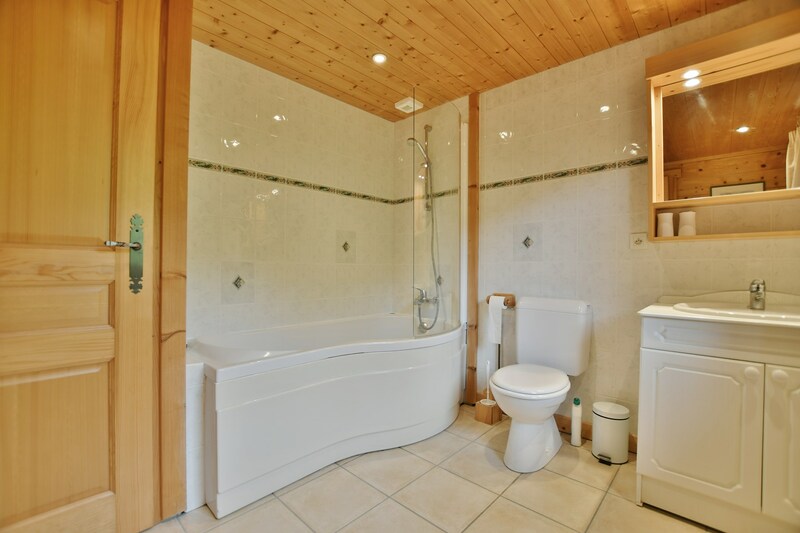 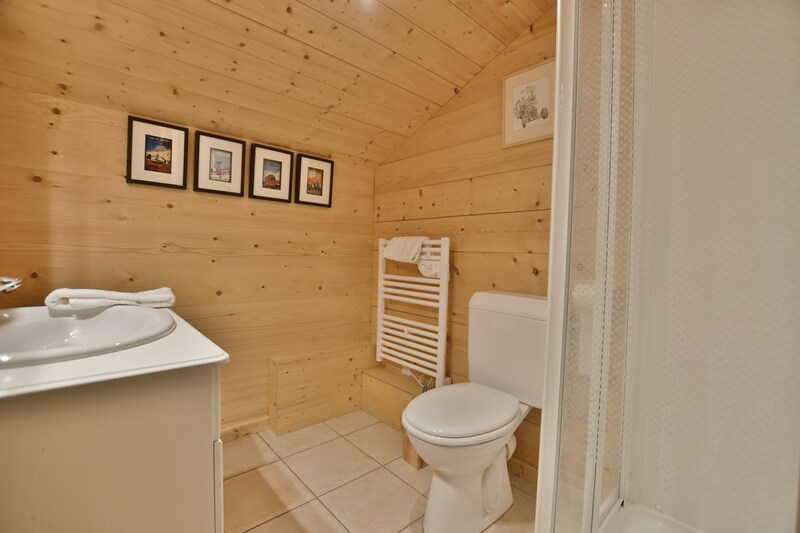 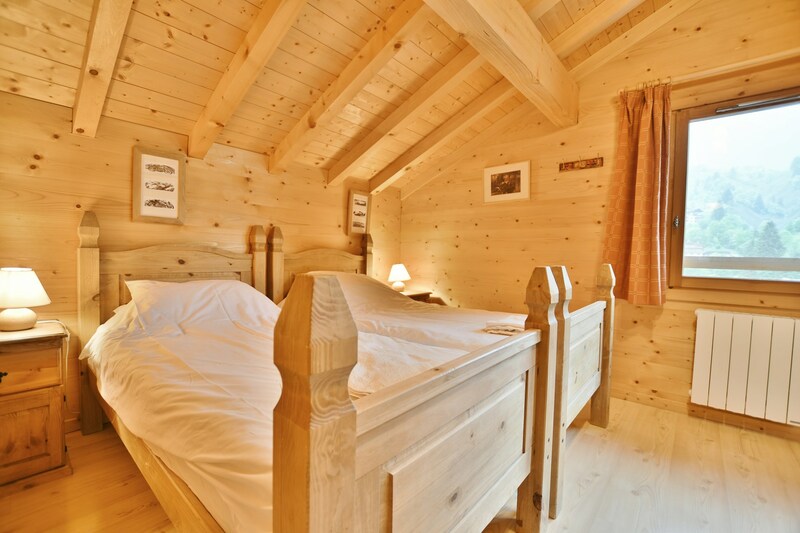 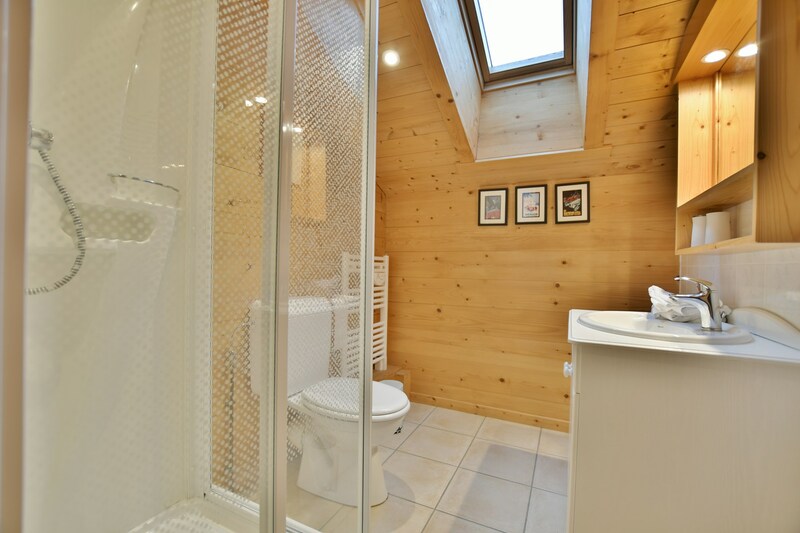 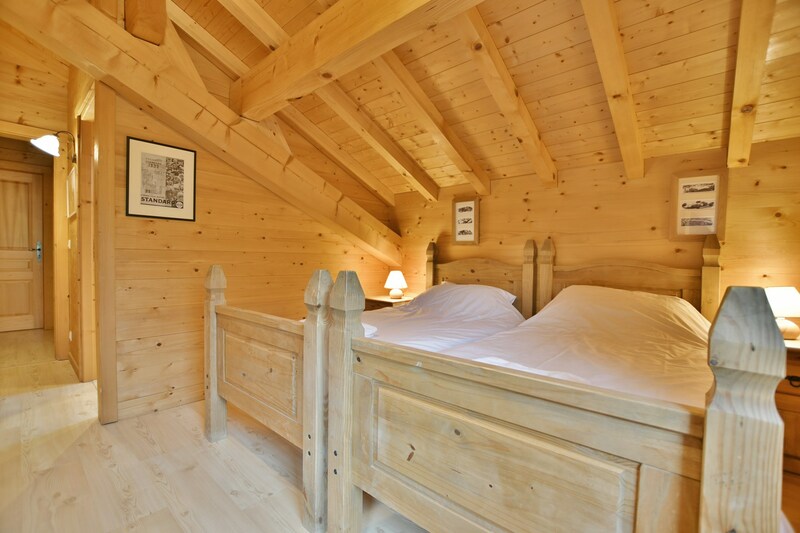 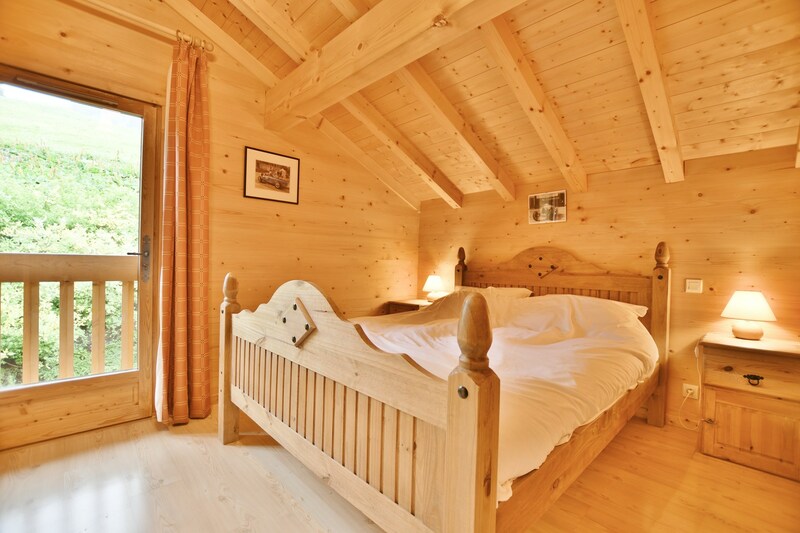 ).The chalet has 5 bedrooms, 2 of which have en-suite bathrooms! 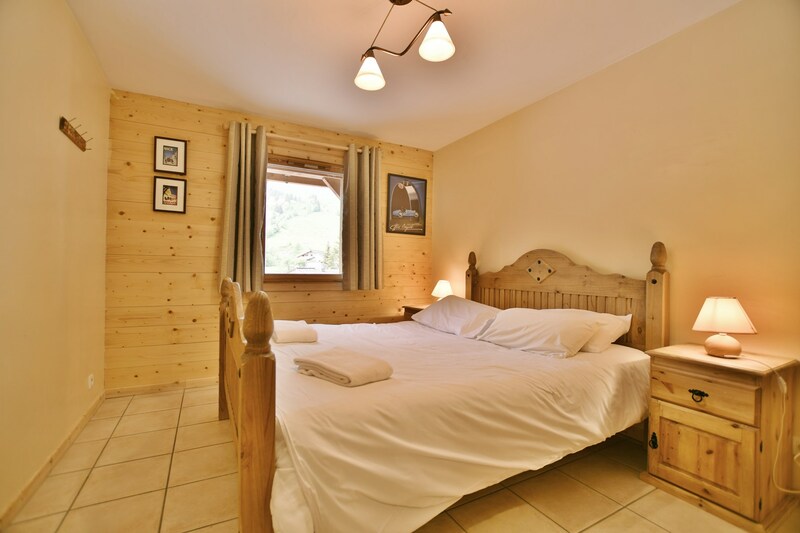 There are 3 double rooms and 2 twin rooms. 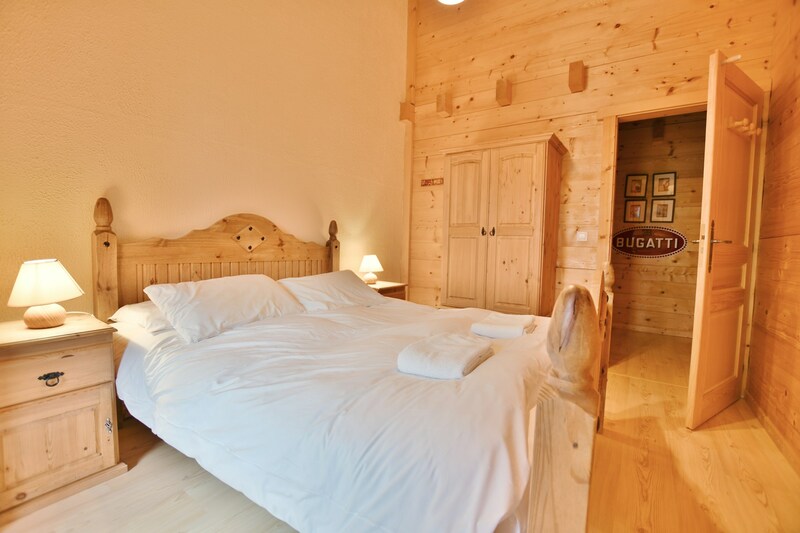 One of these bedrooms has a convertible sofabed that sleeps an extra 2 people if needed. 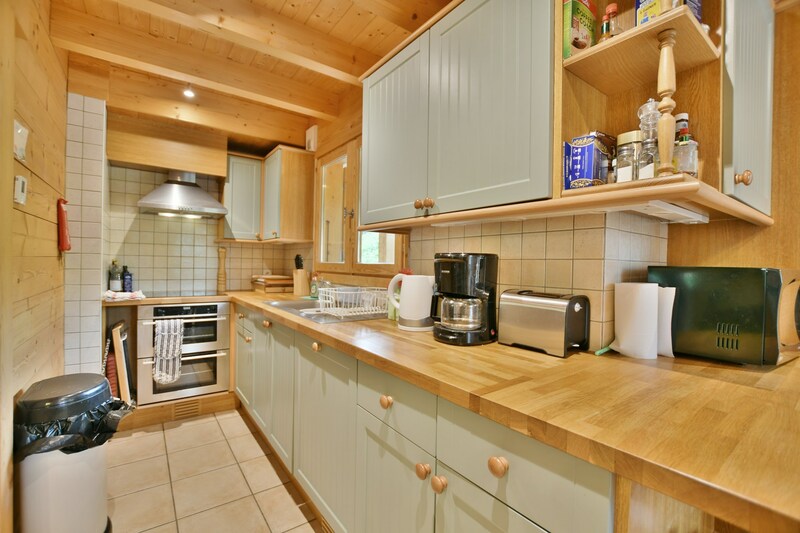 In the main living area is a fully equipped kitchen with a large table that sits 10+ people comfortably. 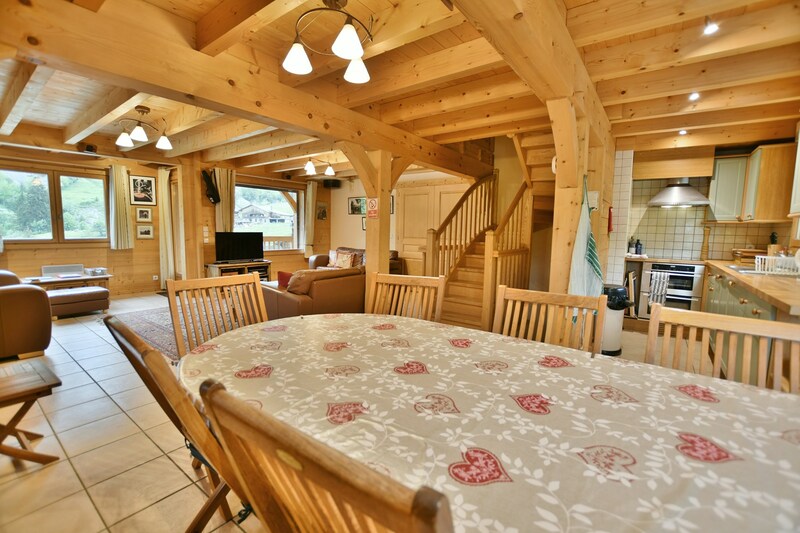 There is a spacious living room that has 3 sofas, a large flat screen TV with DVD player and free wifi internet connection. 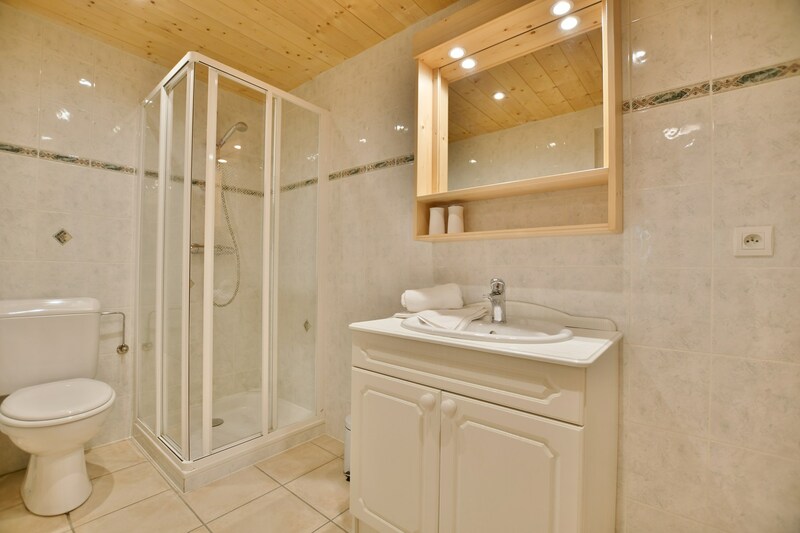 There is a laundry room with washer and dryer, and also a sauna. 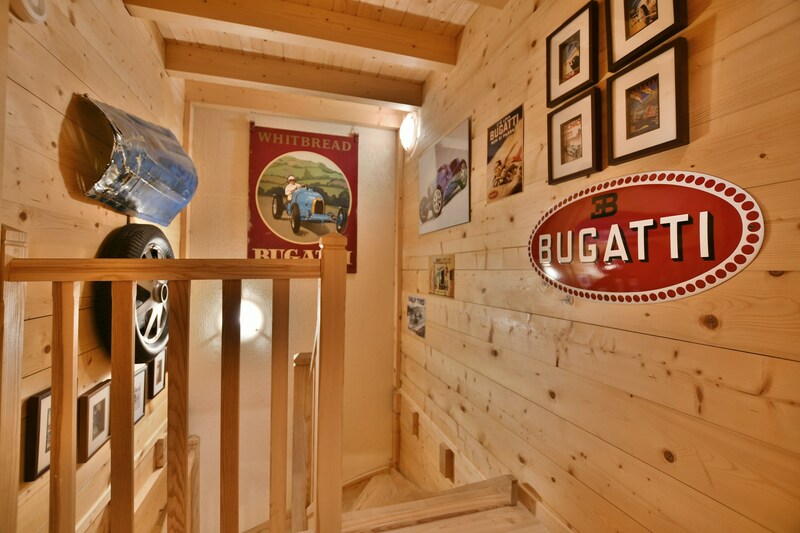 In the garage is a ski locker and enough space to park a car. 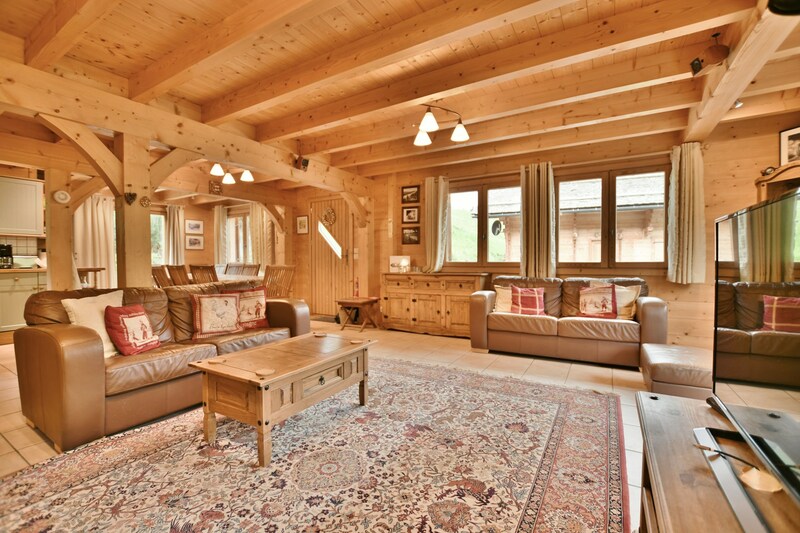 This chalet truly is ski-in ski-out!